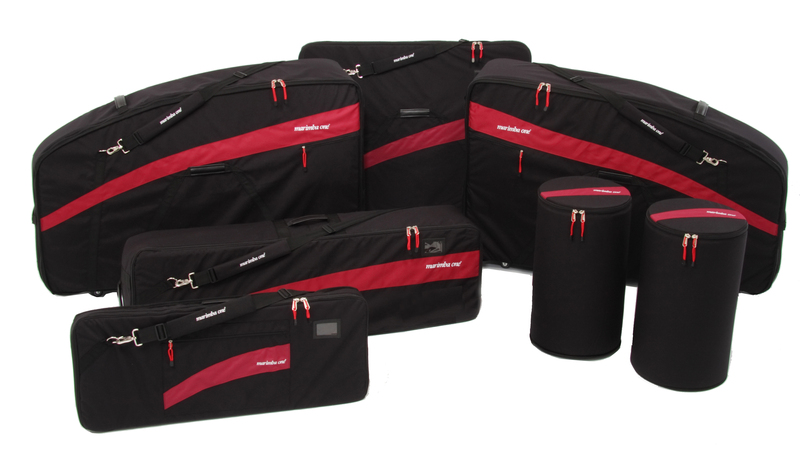 To protect your investment and transport your marimba, we offer a set of 7 cases for all of our marimbas. The cases are made of extremely durable Cordura. Every marimba piece is individually protected and padded. For padding, we use both 1/2" and 1/4" dense foam as shock absorption material. Our cases feature wheels on the resonator and rail bags, as well as multiple handles for easy moving. Available Spring 2019 - NEW Vibraphone cases!